The Perfect Dock, Garden, Yard Cart! There are few items that can travel so effortlessly between use for the boat and use for around the home as the Tipke Aluminum Folding Cart. At a mere 33 pounds, the Foldit cart is capable of handling loads in excess of 300 pounds! Removable front gate (included) allows for larger loads and quick, easy, controlled dumping of soil or mulch. Use it for carrying valuables up and down the dock or for work around the garden and yard; and when you are finished with the cart, it folds to a compact depth of just over 9″ for easy out-of-the-way storage. Made in the USA and backed with a 2 year warranty! Tipke has thought of uses beyond the dock, yard and garden with two accessories. This dock cart can be ‘towed’ around by more than just you. There is a bicycle hitch attachment that allows your cart to be towed behind your bike to the local market or on errands. There is also a trailer hitch attachment that allows the cart to be pulled along behind a yard tractor. This cart is built for years of rugged service. The all aluminum construction is rust free and corrosion resistant. The 20 inch pneumatic tires along with the position of the axle allows travel with heavy loads over uneven terrain with some ease. When not in use the cart is kept folded by the retracting handle. The cart can be ready for use quickly by unlocking the handle and opening the cart. 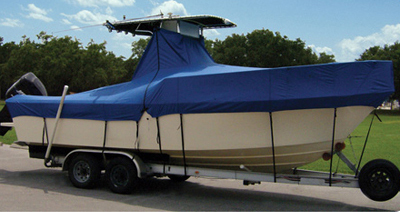 For boaters, the corrosion resistant construction, weight carrying capacity and compact storage size meet all the criteria of the boater who is cruising around or wanting their own cart. The days of hunting the finger piers for an empty cart are gone. When you travel from marina to marina during the summer cruise, the Tipke dock cart comes in handy for picking up supplies or loading and unloading guests possessions.